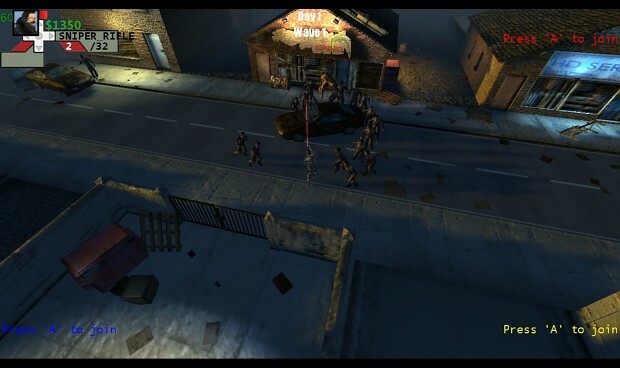 Up to 4 friends can work together to fend off the zombie hoards . Are you ready to be humanities last chance of survival? We're excited to announce our first indie game for the xbox indie channel. Defend! 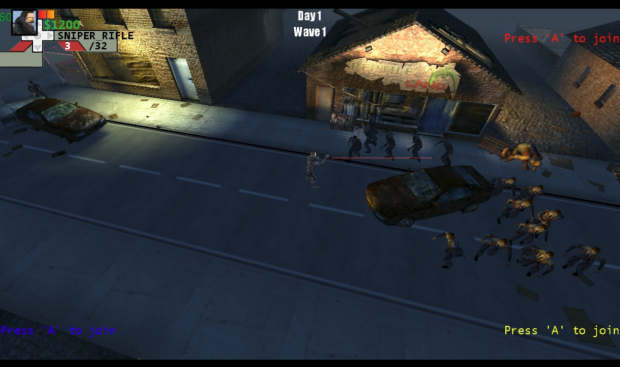 is a 4 player zombie shooter where you have to fight off hoards of zombies to restore order to your city. In a marketplace full of zombie related games we're hoping our style of gameplay and twists on the genre will stand out and bring a new experience to the player. We've been working hard to get to this point, but there's stil a way to go, especially as its only me doing the art side and one programmer doing the rest. As you can see the city is getting pretty busy so i'll be showing some more of the game on a regular basis and some close ups of the cool stuff. If anyone sees anything in particular they want to see more of just pm me and I can spotlight it for you next time I post. I'm new to sharing work in progress material before releasing a game. I would love to play this with friends. 1: will this be free? 2: will the release be full or beta? It will be released on the xbox indie marketplace so the minimum we have to charge is 80 microsoft points, about 50p/$1. it will be released in full and yes 4 player coop so hopefully alot of fun! I'l get a video together soon to show some gameplay. hey guys thanks for the comments. yeh im a big sucker for games like dead nation and zombie apocalypse aswell as the walking dead comics/series so these we're our main inspiration when we started but some of the gameplay ideas we have in the pipeline should add to an enjoyable 4 player experience for the 80p were asking for the game. 8bit, thanks I think ive added u back on twitter. 2 man team its the way forward!! Im still trying to get through the Walking Dead Comics, bunnie is right about there being alot zombie/monster games, there are alot of **** ones and old ones aswell. Hey ive added you on twitter. My comments are: Keep the 4 player element in definitely! 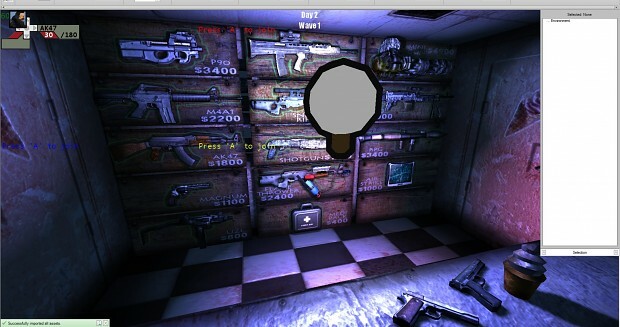 and keep the ambition about the twists, marketplace minigames (try to keep away from the stereotypes). I hope you can bring something to genre. 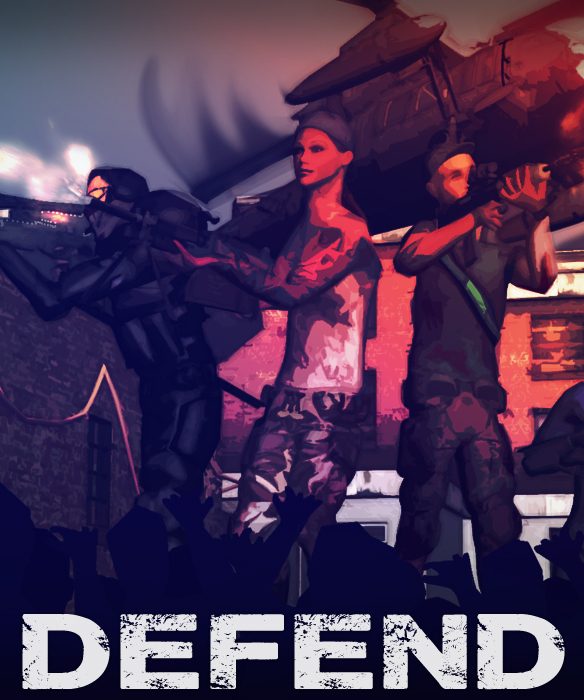 This looks like a pretty generic zombie/monster/4-player Co-op horde game. Can't wait for #thewalkingdead tonight! #inspiration for our next game! RT @Machinima_com: #DICEAwards starts now on MachinimaLive.com! Retweet this and follow to win a grand prize package of games! Goodbye #HMV you'l be truly missed!